Every September, the Hennick Centre for Business and Law holds a welcome event for new and continuing students in order to affiliate them with the JD/MBA program. The JD/MBA Program was founded in 1972, and is now the longest running program in the country with over 550 alumni who hold influential positions worldwide. The purpose of the program is to allow students who are interested in the intersection of law, business, and public policy to receive two prestigious degrees concurrently. Both professors discussed their professional backgrounds, how they began working together with students in the JD/MBA Program, and opportunities that await upon graduation from the joint program. The remarks were followed by icebreaker exercises for students to familiarize themselves with each other. Additionally, the JD/MBA Welcome Event encouraged students to participate in student clubs and organizations, one of which is the JD/MBA Students’ Association. The JD/MBA Students’ Association is comprised of thirteen JD/MBA Students that organize information, networking, and social events for students enrolled in the program. Key events include the Business Event, the Annual Business and Law Conference, and the Women’s Event. Other opportunities include exclusive JD/MBA law firm tours and mock interview / skills sessions throughout the year. 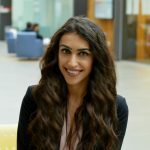 The equivalent association at Schulich is the Graduate Business Council, which consists of twelve MBA students that represent all Master degree programs at Schulich. The Graduate Business Council is responsible for case competitions, alumni relations, and social events, among other affairs. Furthermore, the Osgoode Legal and Literary Society, which is commonly known as Legal & Lit, is responsible for all matters relating to student affairs at Osgoode. Some responsibilities for members of the Legal and Lit Society include advocating for additional student resources and administrative support, updating the summary database and used books website, as well as planning social events, such as JCR Pub Nights and the annual Osgoode Skip Trip. All these associations are available to students in need of assistance or who wish to get involved in extracurricular activities during the completion of their JD/MBA degrees. Lastly, Students were introduced to Melissa Judd, the Assistant Dean Students of Schulich School of Business, as well as Mya Rimon, the Assistant Dean Students of Osgoode Hall Law School. Both Melissa and Mya explained the financial support options available to joint degree students and career development resources, such as Mock Interview and Resume Review appointments that students can attend. They also discussed the requirements that must be met in order to graduate with both degrees, which includes a practicum requirement and writing requirement. 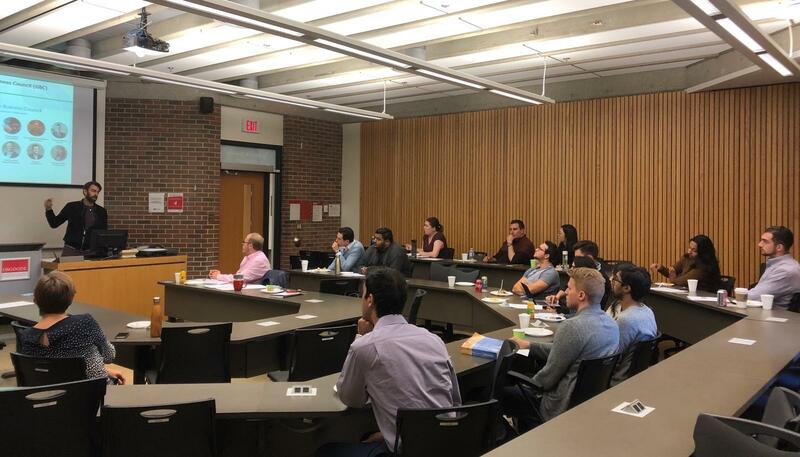 We are excited to begin a new school year, and assist the JD/MBA Program students with the information they need to succeed in their four years at Osgoode and Schulich.